Royal Queen Seeds - Bubblegum XL. Free US delivery. Bubblegum XL is a very fine example of the new school Amsterdam genetics. Though it's not as strong as some other varieties from Amsterdam, like Royal Queens Seeds' Amnesia Haze, her genetics are more sativa dominant, though the effect is a nicely balanced mix of stoned and high. Bubblegum XL is a great all round smoke and a great plant for all types of grower. This plant can easily yield 500 grams per square meter when grown indoors, not the largest yield but the quality makes it worth it. 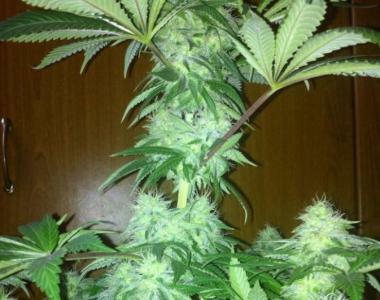 Dense hybrid cannabis strains like this can grow in most countries in the right season. However extra attention must be paid to avoid problems with mould and rot in wetter climates. This plant can easily yield 500 grams per square meter when grown indoors, not the largest yield but the quality makes it worth it. Outdoors, it all depends on the climate; dense hybride cannabis strains like this can grow in most countries in the right season. However extra attention must be paid to avoid problems with mould and rot in wetter climates. She will not grow too tall and doesn?t even stretch up too much like some Dutch strains do ? staying small and manageable. Bubble Gum XL has a sweeter aroma than many other amsterdam strains, with a sweet earthy flavour. Flowering takes around 8 to 9 weeks, producing dense, resin covered buds.